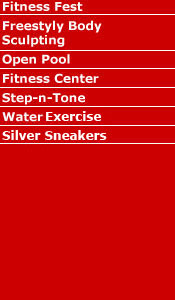 An aerobic workout with limited stress on muscular joints. The resistance of the water works well to improve overall fitness. 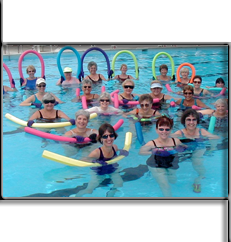 Enjoy a variety of movements through the resistance of the water to strengthen and tone your lower body. Use the water, kick boards, water weights and the wall to strengthen and tone your muscles.